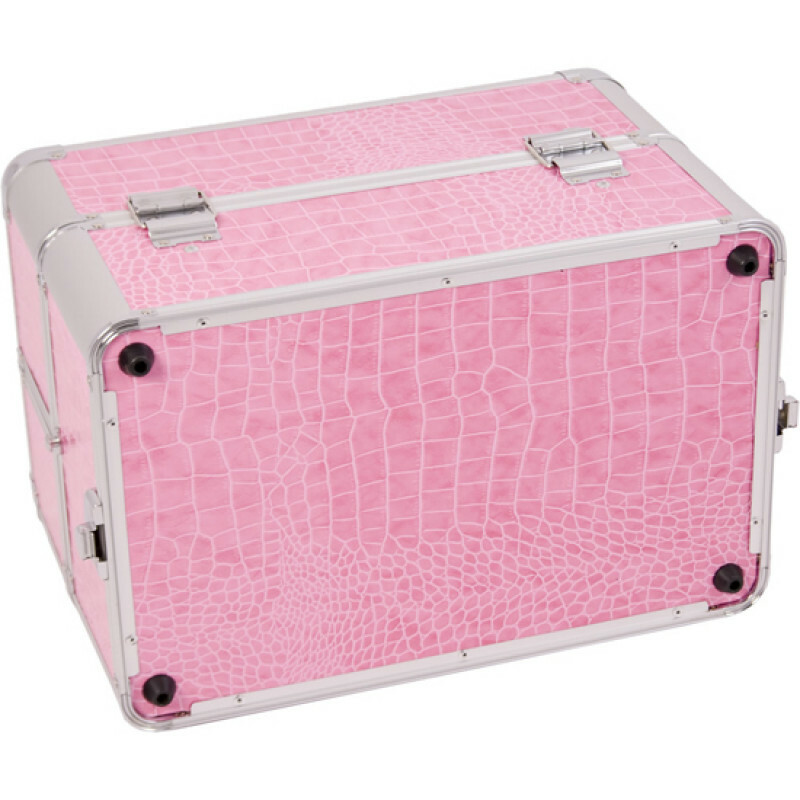 The E3305 Sunrise Pink Croc Pro Makeup Case w/Expandable Tray and Mirror includes a removable shoulder strap. 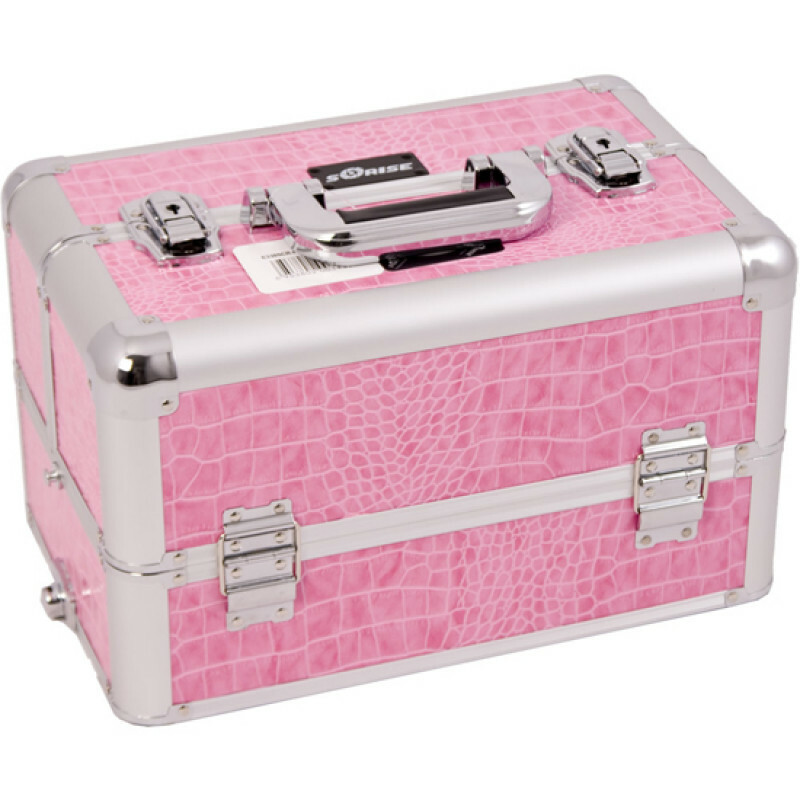 The case can also attach to any E series rolling case. 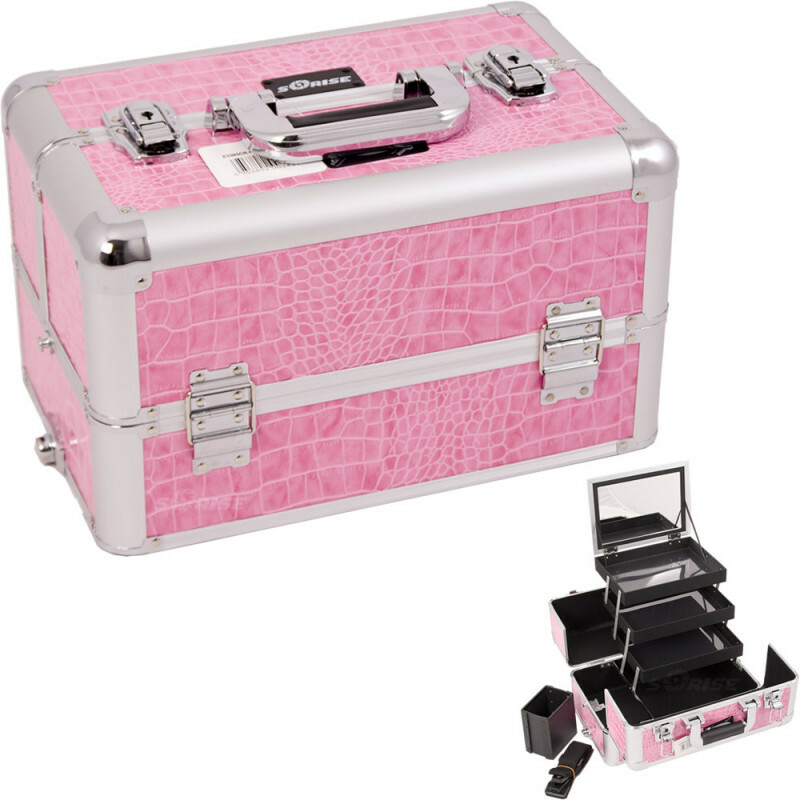 Secure closing latch with key locks and heavy duty handle ensure your cosmetics are protected. 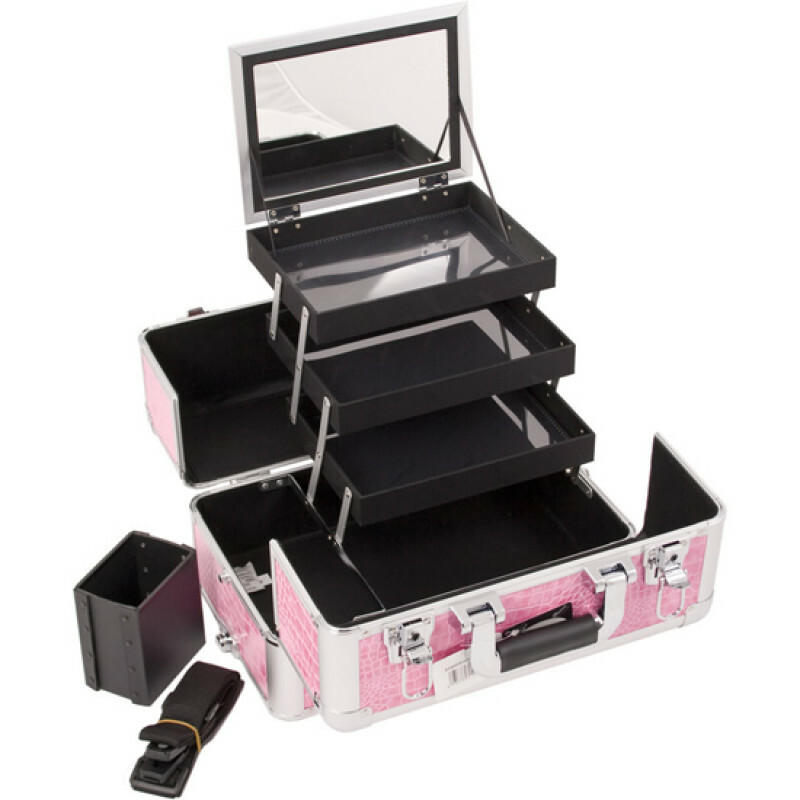 Space Underneath Trays When Closed (LxWxH): 14" x 9" x 3"
Total Case Dimensions (LxWxH): 14.5" x 9.5" x 8.75"